Good evening from EPHQ and have I got a totally gorgeous & romantic wedding to share with you. Recently I had the honour of photographing Liz & Rick’s wedding in Oxnard & if Liz & Rick’s names sound familiar – then I’m sure you saw their totally dreamy Engagement Photo Shoot I photographed with them in downtown Ventura. Well… Now I have their romantic wedding to share with you! I first met Liz & Rick at a wedding conference in the valley that my good friends & uber wedding and event planners; Rev. Sandra & Brook hosted from Visions & Promises Event Planning. From the minute I met Liz & Rick I knew they would be a blast to work with. So when they invited me to photograph their wedding day – I immediately said yes. From the minute my associate photographer; Andi and I landed in Oxnard – Liz & Rick’s wedding day launched with a flurry of memories to capture. Their wedding was at Our Lady of Guadalupe Church, where they had a beautiful ceremony with the many traditional moments I love photographing. One of my favourite photographs from their wedding was when they were in front of the Virgin Mary. Perfect! After their wedding, we did some traditional portraits at the church and then – woosh – we headed over to Heritage Square for some of my Rock & Roll bridal portraits. What was great is Liz & Rick had their wedding timeline dialed in – so we had the perfect amount of time for me to rock my Signature Romantic Portraits. Once their romantic portraits were a wrap – we all headed to the Pacific Corinthian Yacht Club – where they had such an incredible entrance for their wedding reception. Did I say incredible, I mean; totally MEGA! Liz & Rick arrived on a yacht with a perfectly gorgeous sunset behind them on the harbour. Let’s just say Liz & Rick’s wedding day was a dream-come-true! Before you scroll down to check out the video I put together with a few of my favourite photographs & you would like to chat about your upcoming event or wedding – totally comment below or feel free to contact me anytime day or night. I’m available on Twitter, Facebook, Google+, the form on my contact page, or the old fashioned phone as well at 888.ESQ.PHTO (888.377.7486) or 562.225.5915. I hope you’re having a great start to your weekend AND totally be sure to check out Christin & Christoph’s Destination Wedding in Germany. There were over 10,000 photos captured during the week that I was in Germany & I’m so excited to share them with you! UBER PS! Tomorrow I have a product shoot scheduled of the exclusive Esquire Photography iPhone Cases featuring original photographs from around the world. Check back in a few days as I’m about to release them for you for the holidays! 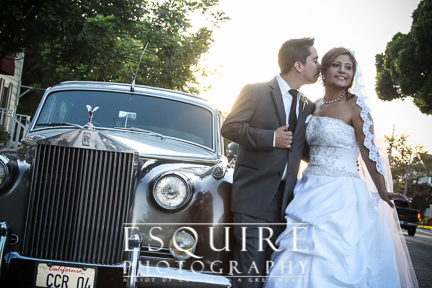 To help another bride & groom see they can have amazing photos with the right photographer!